The velvety taste of Italian coffee meets the bubbles. 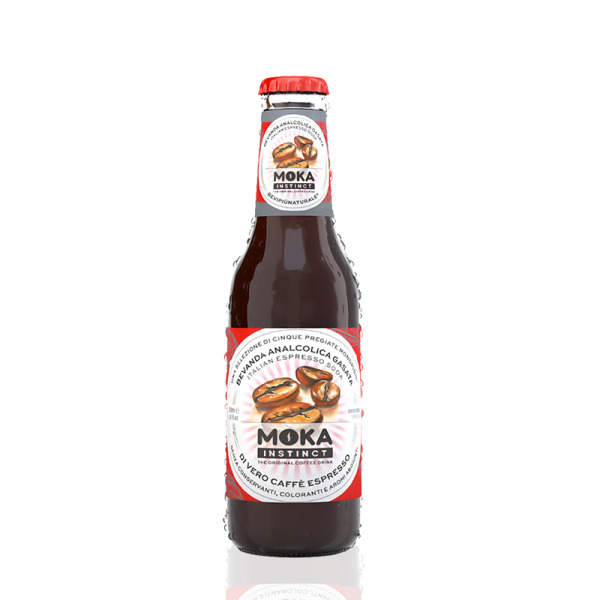 A practical and convenient glass bottle so as to enhance the intense coffee flavour. A selection of 5 different coffee varieties from the most renown coffee plantations through the world is carefully blended by our experts so to obtain a rich and well balanced flavour. Selection of 5 coffee varieties: Niagaragua - Pradera Gonzales, Jamaica - Blue Mountain, Venezuela - Cucula, Porto Rico - Yauco Selecto, Ethiopia - Bale Wild Forest. With 8.5% of genuine coffee infusion, without preservatives and flavourings. 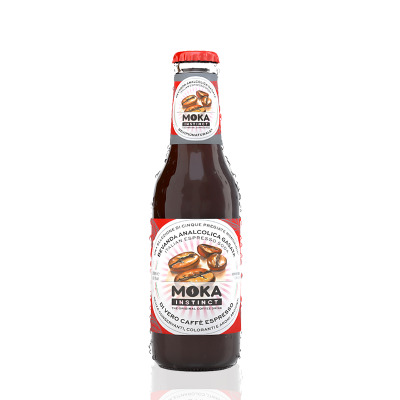 The caffeine level in Moka Instinct 200 ml is equivalent to half a cup of espresso.